paladin | That Was an Accident! 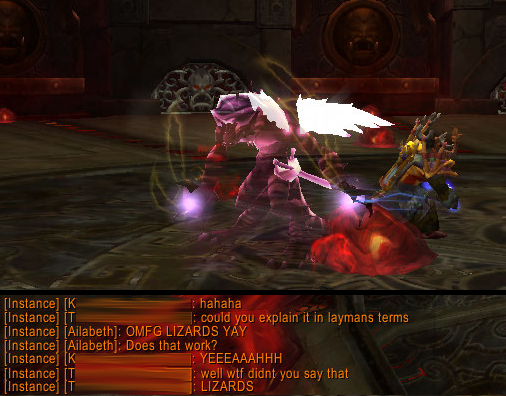 Pretty Fly for a Super Low Leveled Draenai? 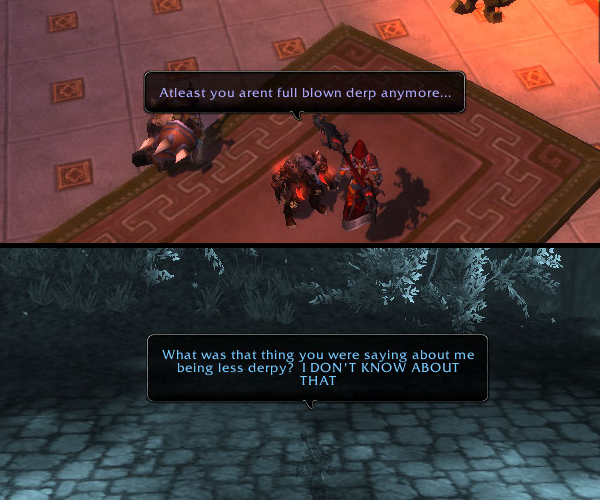 And then I said, man, blood elves. It’s just not … it’s not me. For the record, I don’t mind that blood elves are Very Pretty People. 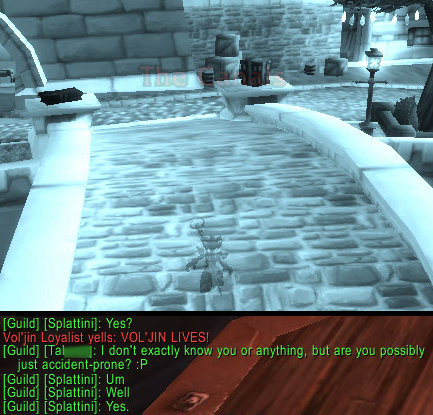 In fact, I make a point of flirting with all long-haired male blood elves I find in LFD/LFR, just to see what the Very Pretty People will do. I don’t mind that blood elves are practically 3/4ths of the Horde when lorewise, they really ought to be but a fraction. 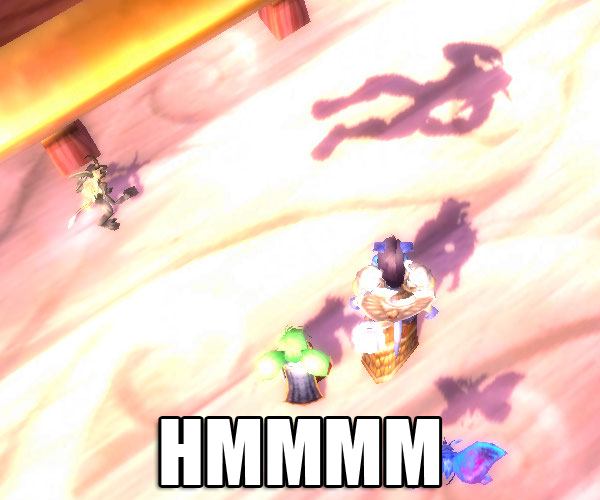 No, it’s the emotes. Every time I laugh, I want to stab things. 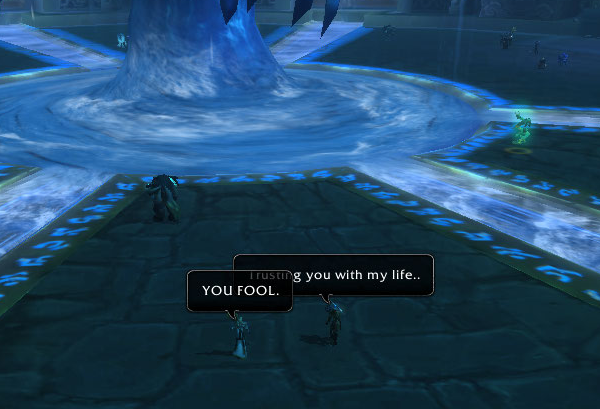 Every time I /silly as a blood elf, I feel like I’ve poured acid onto my soul. The female blood elf emotes make me think, “Sheesh, I really ought to go back and play more as a Forsaken.” I just can’t stand the female blood elf emotes. 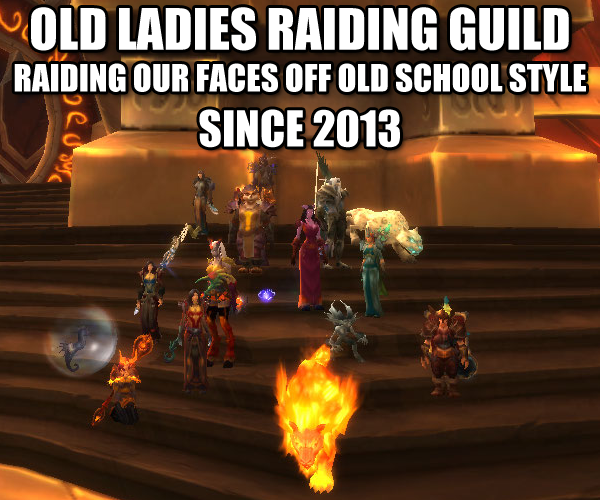 Their existence prevents me from ever really liking being a blood elf. 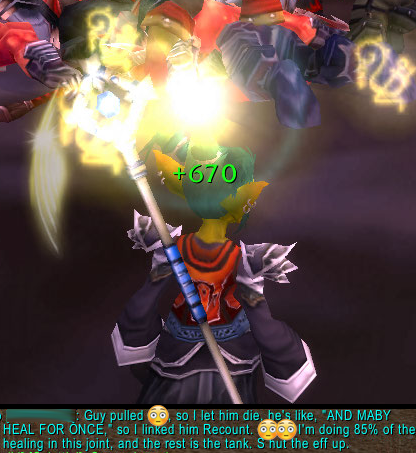 Even though Violaryn-turned-Daschela made it to level 87, I could NOT get past the meh. 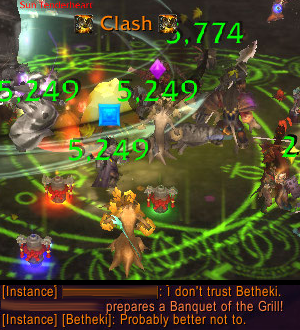 See, normally, alts that have the “meh problem” die somewhere before I hit Burning Crusade. 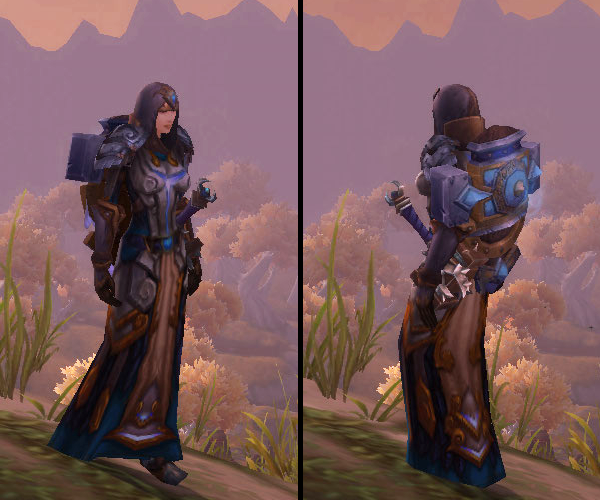 Violaryn-turned-Daschela existed for one purpose only, and that was skimpy transmog – one set in particular. Because Transmog Trumps All and the ONLY boots that would do required her to be level 85, she survived long past her expiration date. Once the desired set was done, I still didn’t like her. Hell, it was worse – I just didn’t CARE anymore. 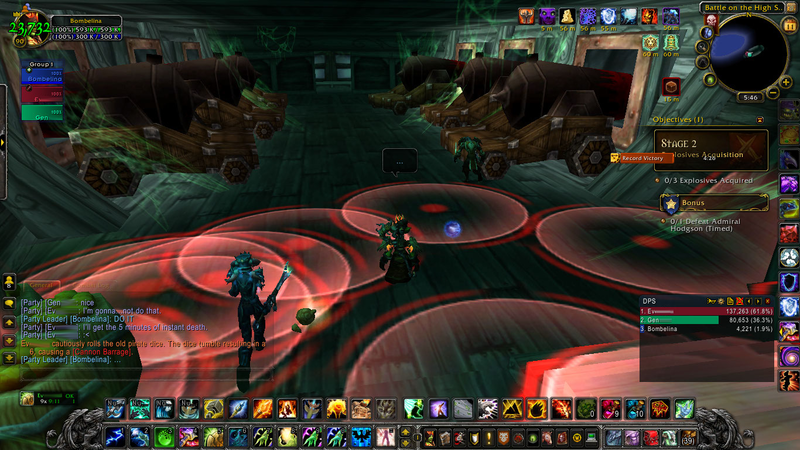 She has been deleted so that I might try Holy paladerping from the ground up, as Daschela the Draenai Derpadin. This entry was posted in Alliance Dalliance, Daschela the Third, Draenei From Space, World of Warcraft and tagged altoholics anonymous, daschela, draenei, healination is hell, healing, paladin, that's probably not good, world of warcraft on August 5, 2013 by Prinnie Powah. Thoughts: If Helen of Troy had the face that launched a thousand ships, then this is the transmog set that launched one alt and a bazillion plans that still haven’t been finished (yet). I almost called this the “Dat Ash” Set, but I maintain some pretense of dignity. This is the set my sole blood elf was made for and undeleted for. 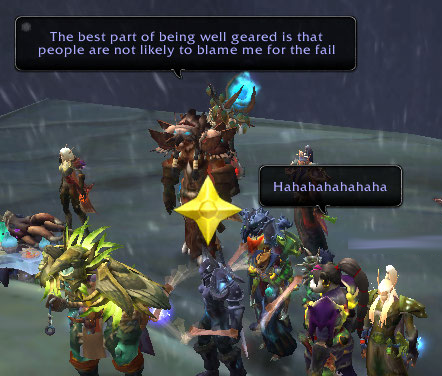 I had a moment of brilliance (Ermagerdda would be a GREAT name for a dwarf or an orc), combined with residual feelings of guilt (ERMAGERD ANOTHER BLOOD ELF THEY’RE LIKE 2/3RDS OF THE HORDE WTF), which mixed with the conversation of some friends who like to talk up how awesome warrior is. So I deleted the blood elf and made Ermagerdda the Orc Warrior, only to realize that this set, as-is, can only be done on a paladin, what with the class-specific gear and all. Craaaaap. Seriously, I wouldn’t go to some of these places if I didn’t have to. This entry was posted in Blood Elves, Daschela (Formerly Violaryn), For the Horde, Baby!, Plate, Transmog, World of Warcraft and tagged belt of the fallen emperor, blood elves, cataclysmic gladiator's warboots of alacrity, cenarion thicket legplates, crest of retribution, gauntlets of raw strength, gladiator's scaled chestpiece, gladiator's scaled shoulders, greatsword of horrid dreams, paladin, plate, platekini, project platekini, transmogging, violaryn, world of warcraft on July 20, 2013 by Prinnie Powah. 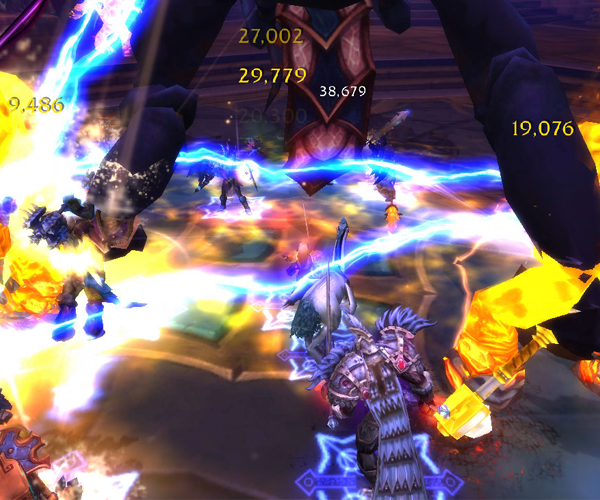 Of course, looking at those shots, you CAN’T SEE the accursed gloves that caused me so much trouble! 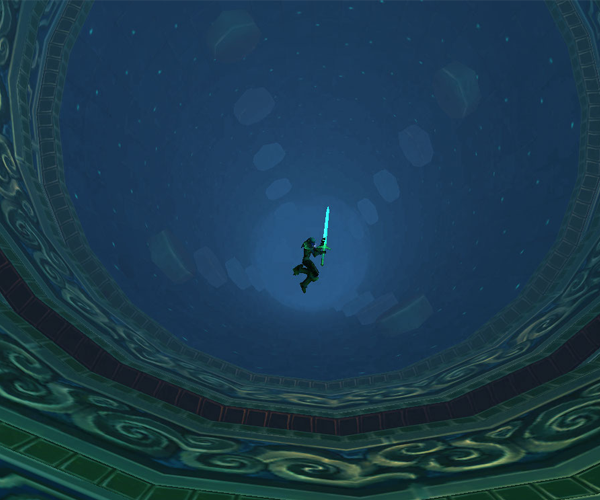 So here’s a screenshot where they are obviously visible (though I was experimenting with a different weapon and shield). 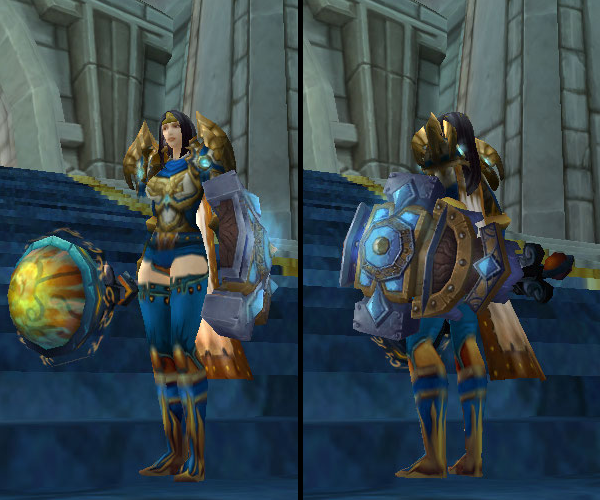 I’m not entirely happy with the mace/shield combo, but whatever. GLOVES. 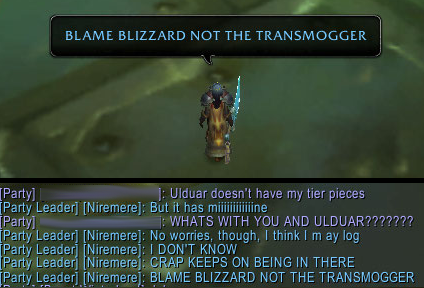 You see, once upon a long time ago, a lowbie paladerp named Niremere decided that she had to level insanely fast in order to be able to take part in the Theramore event. This traumatic experience left the corpses of countless brain cells in its wake, which is probably why I decided that only the Gloves of the Swarm would do for this getup. In turn, because life is life and my luck is bad, this meant that the Gloves of the Swarm NEVER FREAKING DROPPED. As a result of THAT, yours truly lost STILL MORE brain cells, which is the most likely explanation as to why I KEPT ON TRYING. (Either that, or stubbornness. Either one.) Thanks to the magic of Deadly Boss Mods, I am able to quantify my suffering at approximately one bazillion kills. Yes, that is an accurate number. This outfit was intended to be Niremere’s formal plate set for Important Occasions, even though I never roleplay and she’s been wearing it FOREVER AND ALL THE TIME anyway. 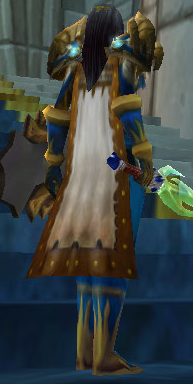 I’m not sure if it’s the stereotypical Alliance paladin color scheme – blue, gold and white – or what, but this has been one of maybe three outfits I’ve put together that has actually inspired perfect strangers to whisper me and say something, and currently holds the title (or something) of receiving the most comments in-game. The second most-commented outfit is technically platekini. Go figure! Sure, they’d like me more in platekini, but whatevs! This outfit could technically qualify for Project Platekini as it includes the Templar’s Legplates, which expose some random thigh (ONLY in the front, not in the back. Don’t know why). I came up with this getup before I ever thought of Project Platekini, however, so I’m not going to tag it as part of it. This entry was posted in Alliance Dalliance, Humans, Niremere, Plate, Transmog, World of Warcraft and tagged consortium cloak of the quick, gloves of the swarm, golden circlet, lucky old sun, niremere, paladin, plate, sapphiron's scale boots, skyguardian's shield, talonguard girdle, templar's legplates, transmogging, turalyon's battleplate of conquest, turalyon's shoulderguards of conquest, world of warcraft on March 10, 2013 by Prinnie Powah.